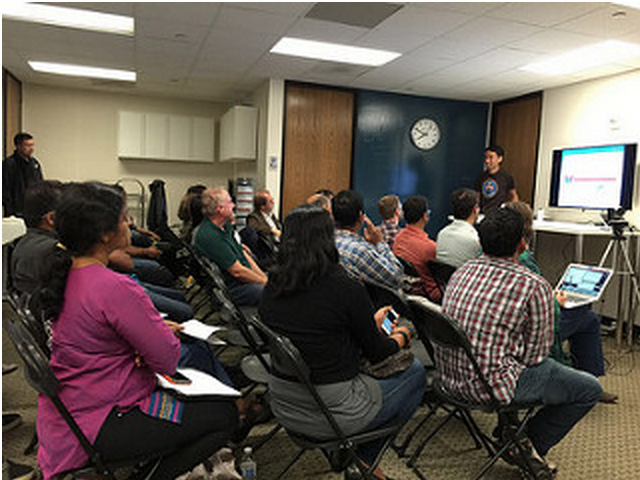 Last week, the first Jenkins Area Meetup (JAM) took place in San Jose, CA on Wednesday, Sept 23. What a way to kick off the first JAM other than to have Docker, John Willis as our guest speaker. John talked about immutable infrastructure and its benefits and role of containers. Kohsuke discussed Jenkins Workflow, the motivation behind the same and latest features of Jenkins Workflow like multi branch support followed by docker use cases. The highlight of the meetup was definitely Kohsuke breaking the news about Jenkins 2.0 and his vision and motivation behind it. The next Bay Area JAM is slated for Oct 21. Be sure to check HERE for the agenda. We’d love to have you join us if you’re in the area. If you’re interested in speaking, or become a food & bev, venue, or recording sponsor please send email to the organizer or events@lists.jenkins-ci.org.